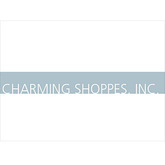 Charming Shoppes is a plus size holding company that operates primarily in the retail industry. Charming Shoppes operates as a fully owned subsidiary of the Ascena Retail Group. As a holding company, some of the Charming Shoppes subsidiaries are Catherine Plus, Cacique and Lane Bryant. Charming Shoppes sells clothing from more than 2,300 retail stores which are located all over the United States as well as a number of online sites and catalogues that they own. Charming Shoppes was founded in the year 1940 and in 1971, it went public. The company merged with Ascena Retail Group in 2012. Charming Shoppes is based in Bensalem, Pennsylvania. There are currently 0 consumer reviews about Charming Shoppes available. Share your review. Please take a note that you are about to post a public review about Charming Shoppes corporate office on CorporateOffice.com. This review will be public, so please do not post any of your personal information on this website. If you would like to contact the corporate offices of Charming Shoppes, please use their contact information such as their phone number, website, and address listed above to contact them. However, sometimes staff from Charming Shoppes headquarters do read the reviews on this website.